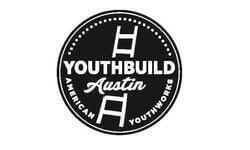 This is a full-time (40 hours/week) position as an AmeriCorps member of YouthBuild Austin. Community Partnership and Volunteer Coordination AmeriCorps Members are responsible for developing and strengthening community partnerships for the YouthBuild program, including identifying partnerships for potential service projects and service learning initiatives. This member will also provide service implementing the program’s volunteer program, enabling the program to better serve low-income young people and community residents. This includes developing appropriate materials, recruiting and managing volunteers, and training the site’s staff as appropriate so that the site can sustain the program after the member’s term of service is completed.